$1320.00 (Includes all Materials) . This is one of our more popular classes. This beautiful table is well proportioned, with simple elegant lines that will grace any home. It can be used as a hall table, sofa table or an entry table. Imagine what your guest will say when they are welcome into your home and met with this stunning piece of furniture. 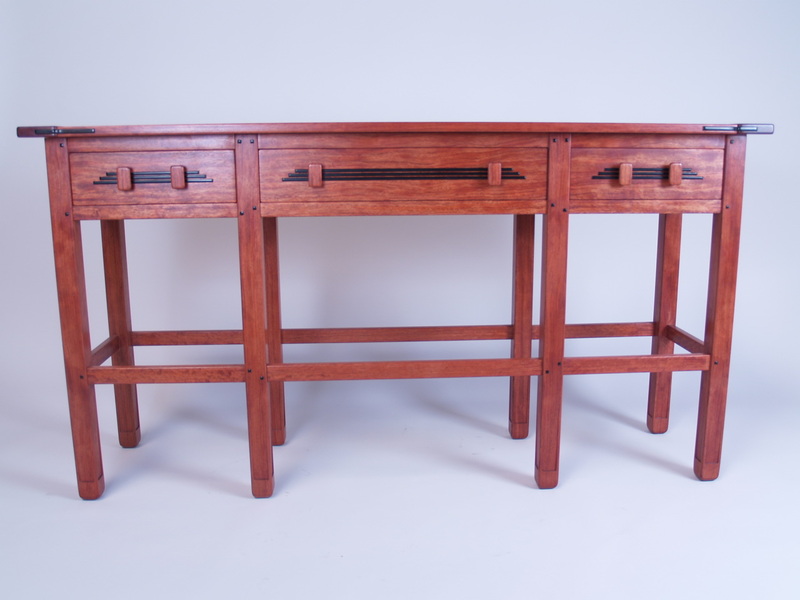 This class covers all aspects of Table making, Joinery, design and the classic Greene and Greene Details such as indent leg, Ebony plugs, Ebony Spline, Bread board ends, Inlay drawer fronts and sculpted handles.